みなさんこんにちは。(Mina-san, konnichiwa) Hi everyone, I am Chihiro and welcome back to JapanesePod101.com’s Kantan kana series. If you’ve seen and practiced the last 13 lessons, then you’ve already learned Hiragana. Great job. Like always, if you come across any Hiragana characters you don’t recognize, be sure to review the previous lessons. We will be using what you’ve learned about Hiragana for the next alphabet. So make sure you are on top of it. That’s right, the next alphabet. Kana is a term used to describe both Hiragana and Katakana. Both are used in Japanese writing and it’s usually the next alphabet learned after Hiragana. Every Hiragana has a corresponding katakana character. This means that there are 46 hiragana and katakana. There are no new sounds to learn, but katakana is used for very specific purpose. We learned Hiragana which are used for Japanese words but how would you write words that aren’t originally Japanese such as computer or Brad Pitt. The answer is, the word is set as closely as possible to the original or just using the Japanese sounds that we learned when studying the Hiragana. So computer becomes コンピューター(konpyūtā) and Brad Pitt becomes ブラッドピット(Buraddo Pitto). Some words sound very close to the word in the original language like アメリカ(Amerika) for “America “but some words get pretty beat up like キャリア(kyaria) for “career”. カタカナ(katakana) is also used for other things but we will get into those over the course of the next few lessons. For now, let’s take care of the first five characters. We will begin with ア(a) 1, 2. The first stroke starts straight and then bends. The second stroke curves to the left. This character kind of looks like a capital A on its side. Next up is イ(i) 1, 2. Just the slightly curved diagonal line over a straight line. Make sure this line goes right down the middle. Here is ウ(u) 1, 2, 3. The first two strokes are straight up and down. Does this character remind you of a Hiragana version? They look similar, don’t they? This is エ(e) 1, 2, 3. Bottom stroke should be slightly longer than the top stroke. Our last character is オ(o). 1, 2, 3. Notice the はね(hane) at the end of the second stroke. Now it’s time for Chihiro’s tip. The first thing that might jump out at you about Katakana is how angular their shapes are compared to Hiragana. Most of the lines are fairly straight compared to Hiragana. So it may look slightly mechanical. Because of this when Robots or computers speak in Japanese Manga, the author will often write their words in katakana. How do you find the カタカナ(katakana) so far? In the next lesson, we will take on five more characters and start to make words. I will see you then. Thank you very much for the comment! Glad to hear this lesson was helpful! Really good introduction! And it's really helpful to see someone actually writing it to obtain proper handwriting. Please make sure to have a QuickTime player installed -> www.apple.com/quicktime/download/ and have the latest update of your browser. Alternatively, you can try with different browser, or downloading the video to your device and viewing it from there. Why the katakana videos not working? I'm very sorry for the super late reply!!! Thank you very much for a kind comment! Yes, you'll need to learn kanji after hiragana and katakana to read Japanese text, books, signs etc. ? Hi , thanks for hiragana's lessons it was very easy and useful , now we are with katakana , i wonder when i finish learning hiragana and katakana , is tha means that i can read japanese any word or still there is another alphabet like kanji ? If you learn survival Japanese, you don’t need to learn letters. However, if you want to learn the Japanese language properly until you reach a high level, I recommend you to learn hiragana first. Hello, and thank you so much for all the good lessons. I have a question for you guys. Im sorry if it's a stupid question, but should I learn the Kantan kana alphabet 100% before I move to Katakana? By this I mean; should I be able to know every single sign and sound 100% without looking it up? Is there an hour long video of Risa going through all the Katakana? Because i find that format SO much easier to understand ? 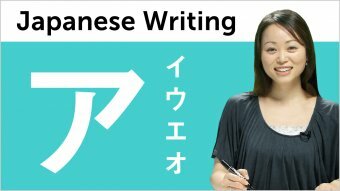 I really found the Hiragana video extremely useful!